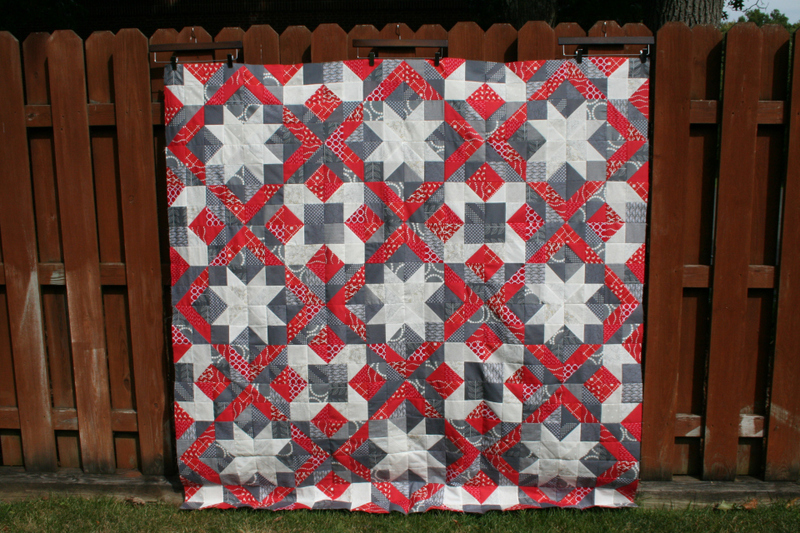 Are you starting your Christmas quilts? Here's a great one for you! Using squares and half-square triangles, you'll make them into units and then create this beautiful pattern. 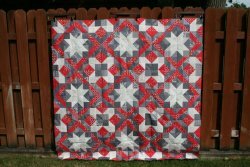 You could also, of course, choose a different color for your fabrics if you aren't making a Christmas quilt. 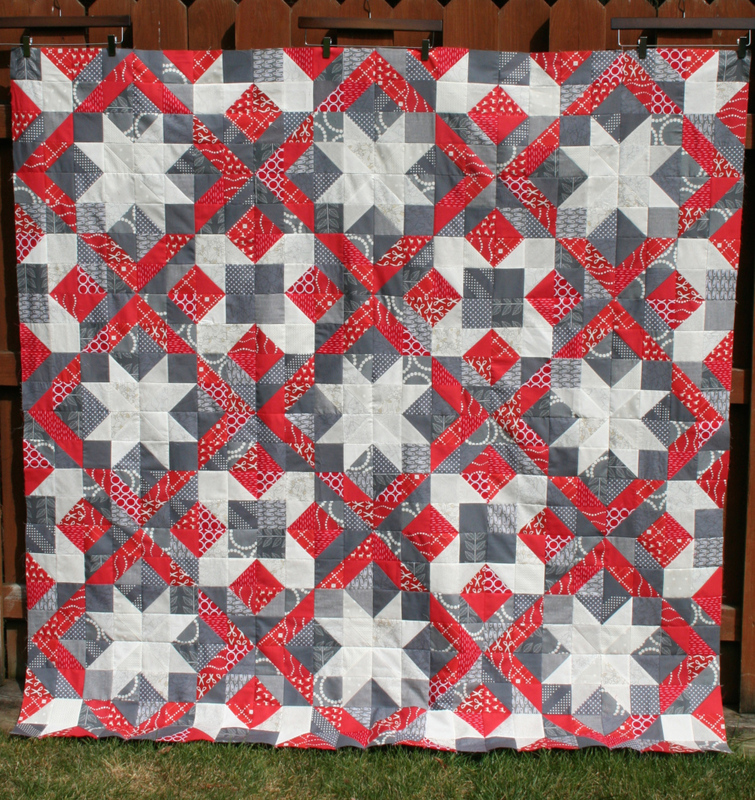 "It’s my most traditional and intricate quilt to date. 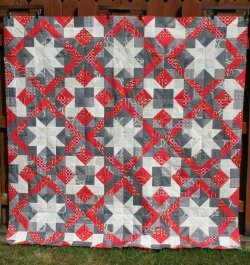 At 72″ square, there are more than 500 3″ finished squares of all different scrappy red, cool gray, and white-on-white prints. It fits my goal of making something festive but sophisticated, and it will be so warm to snuggle under next to the tree."